We manufacture and export a wide range of Pressure Vessels that is manufactured from 300 grade stainless steel, SA 516 GR 70 and carbon steel. Available in various specifications, these meet the demands of chemical, fertilizers, food and dairy, petrochemical, pharmaceutical, chemical, pulp and paper. We offer Process Reaction Vessels & Agitators for Corrosive Applications. These are fabricated in tandem with the technical details specified to us by our clients. These are anti-corrosive and ensure better functioning. 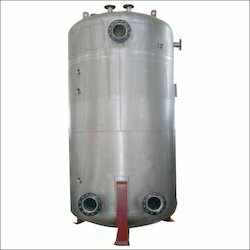 In addition to this, we also manufacture and export quality reactor/ reaction kettle. 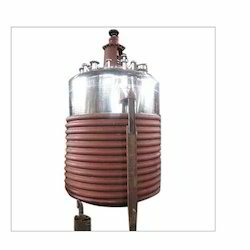 It incorporates different types of reaction vessel such as Jacketed, Limpet Coil, Top Open Type, Top Dish Type, etc We make sure that these stand high on quality terms and delivers our clients complete satisfaction. Persistently marching in today's competitive market, we are well known manufacturers and suppliers of Agitator Reaction Vessels. These are manufactured in tandem with the technical details specified to us by our customers. Further, our range is anti-corrosive and make sure better functioning. We provide a Wide range of Pressure Vessels for our clients based not only in India but also in the UK. These are manufactured from 300-grade stainless steel, SA 516 GR 70 and carbon steel. Moreover, these are quality tested on well-defined parameters before being delivered to our clients. Looking for Pressure Vessels ?